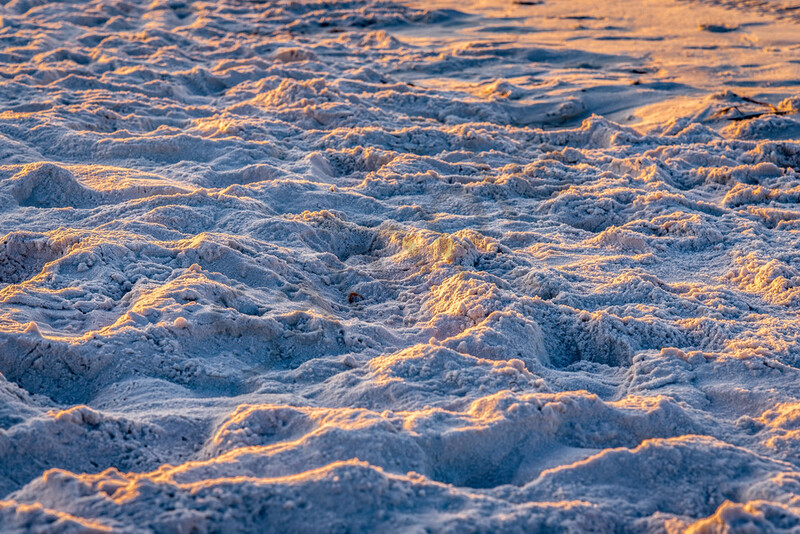 Sand is certainly abundant on the beaches of Destin. It's the quality of the sand that makes it stand out. Being from Southern California, I really enjoy the feel of the sand when I'm in Destin. It's very different from California beach sand, which burns your feet and rubs them raw. In Destin, the sand feels as soft as sugar and actually squeaks when you walk in it. The contrast and colors of this sand shot were what drew me to take the photograph. I saw so many colors as the sun came up, including blues, oranges, and pinks all reflected in the soft sand just begging me to take some photographs.